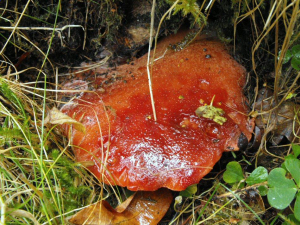 Observation - Beefsteak Fungus - UK and Ireland. Description: Fleshy fungus at base of oak tree. Photos are of different specimens of the same species. Fleshy fungus at base of oak tree. Photos are of different specimens of the same species.